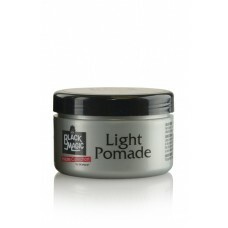 For short and wavy hair styles as well as natural well-groomed hair styles. Special conditioners have been added to bring out the natural wave pattern to your hair without chemical processing. Leaves hair shiny and well conditioned. Shampoo and condition hair with Black Magic Complete Clean Hair & Body Wash and towel dry. 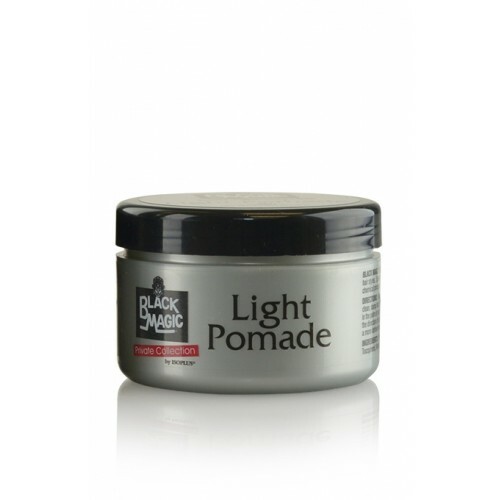 On clean, damp hair, place a small amolunt (about the size of a silver dollar) of BLACK MAGIC Light Pomade in the palm of your hand, rub hands together and distribute the pomade, then work into hair. Comb or brush in the direction of your natural wave pattern. You may wear a wave cap for 30 minutes or overnight to create a more defined wave pattern. Remove wave cap and finish your desired style.